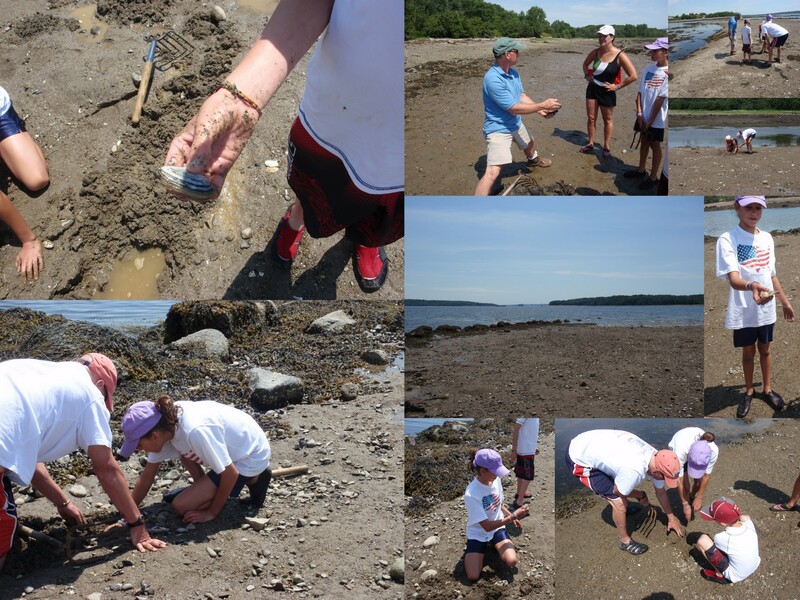 Clamming on Sunday – Maine. Ocean. Camping. Sunday Steven took a crew clamming on Sears Island…by the time they were done digging everyone had plenty for dinner. If you’d like to do the same, talk with us in the office and we’ll take you out on the low tide on Sunday. You can check out this post for details too.